How easy is it to learn Swedish from English? I would say the difficulty is low. With some tips, you can know how to learn Swedish on your own. The best way to learn Swedish is differentiating Ett and En, knowing that spelling and pronunciation are different, singing it, starting with the easy part, and learning long words. The Swedish article ett and en can confuse you. This is because a banana is called en banan while an apple is called ett apple. Then at times, a banana is called bananen while an apple is called applet. To begin with, it is quite tricky that the Swedish equivalent of ‘the,’ which is a definite article, is used as a suffix in the words. Hence, ‘the banana’ is written as bananen while ‘a banana’ is written as en banan. It appears awkward at first, but it will grow on you, and you will be quickly adding the article at the end. So, how do you differentiate between an ett-word from an en-word? Swedish is different from the Romance languages as it lacks a semantic gender system, where a woman is feminine while a man is masculine. Hence, both woman and man are en-words. However, ‘child’ is an ett-word. The explanation for this can be derived from the history of the Swedish grammatical genders. Over 700 years ago, Swedish shared the same semantic gender system with German, where genders were three: masculine, feminine, and neuter. With time, the feminine and the masculine integrated into one gender, the en-words that count for over 75 percent of the nouns. There lacks a defined way of determining whether a word is ett or en, except for the statistical assumption that a majority of them are en-words. But there exist some rules of thumb. For instance, in case a noun is used for an animal or a person, it is highly probable that it’s an en-word except ‘child’. The same rule applies for words ending with –are or –ing. So, what is the best way to learn Swedish? The best method to learn Swedish is to learn new words as well as their articles. Even with your initial words and phrases, such as det ar (it is), god morgon (good morning), or jag (I), you will discover and learn something that will be instrumental in your learning of the Swedish language. Not every letter is actually pronounced. When speaking Swedish, the ‘g’ in jag is usually omitted, god morgon is pronounced as ‘gomorron,’ and ‘det’ and ‘ar’ join into a ‘de-e.’ Because you need to speak Swedish as much as you spell and read it, it is a great tip for integrating these reductions into the language immediately. These reductions exist for a reason, and they are the best way to learn Swedish language. People often say that words are not pronounced as they are spelled. But it is more accurate to say that the word is not spelled as it is pronounced. Pronunciation uses an easier and more logical set of rules as compared to writing. It follows anatomy and acoustic while spelling is very arbitrary. The principle of this omission of letters in the Swedish language is logical. If ignoring a letter makes it possible to say something, you are probably right to skip it. For instance, fantastiskt is pronounced as ‘fantastist.’ Another instance of the way spelling makes Swedish appear more difficult is the numerous ways a particular sound may be spelled. For instance, the ‘sh’ sound could be spelled as ‘sh,’ ‘kj, ’tj,’ and ‘k.’ These might be problematic for spelling but easy for speaking. It is another best method to learn Swedish since you only require learning one sound for all these spellings. Frequently, you will hear folks state that Swedish is a singing and melodic language. The melody normally goes up and down before going up again, like when you are warming up your voice. What is the best way to learn Swedish? The best way to learn Swedish language is to try your best to use a Welsh accent. But at first, it will be hard to get the Swedish rhythm right. However, listening and imitating the Swedes will aid you a lot. Even listening to a Swedish radio show and podcast without comprehending anything can prove useful as you will obtain a feel of factors affecting the sounds of the language. Listen and try finding a rhythm. Determine the words in a sentence and the syllables within words that are stressed. This applies for all phrases, including the initial ones, like asking for directions, ordering coffee, or introducing yourself. If you are attentive to the length of the syllables, how the rhythm goes, and where the stresses are, it will assist you a lot. It is also good to know how to properly pronounce vowels. You will sound Swedish after knowing them. 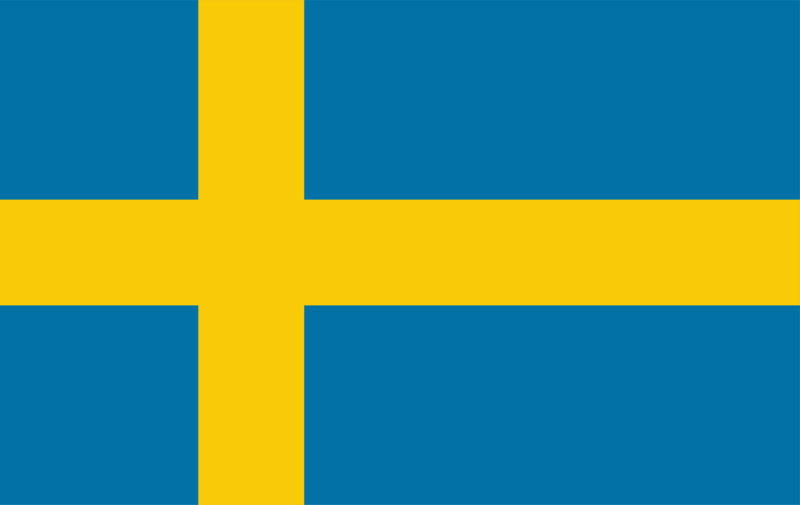 Swedish consists of nine vowels and each vowel has a short and a long version. The long U and the long, open A are some of the tricky vowels. How hard is it to learn Swedish for an English speaker? Swedish is one of the languages that allow you to create very long words by gluing them together. This could be scary in the beginning, but you will be excited to have your initial Swedish Scrabble game. Additionally, the long words are ideally logical; you just need to know where compounds are separated, what the separate words mean, and how they associate with each other. While the last part of the word informs you what the word is, the first part tells you about the kind of word. The best way to learn Swedish is to understand that even common words are usually compound. How hard is it to learn Swedish for an English speaker? If you want to know how to learn Swedish on your own, keep in mind the rule of no verb conjunction. Remember that all verbs are similar regardless of the individual. Hence, ‘is,’ ‘are,’ and ‘am’ all translate to ar. This means that it will be easy for you to learn Swedish and you will have the ability to express plenty with minimal effort. You won’t have a hard time trying to understand personal pronouns. So, how easy is it to learn Swedish from English? These five tips answer the question. With this guide and effort from your part, you will be speaking Swedish in no time.